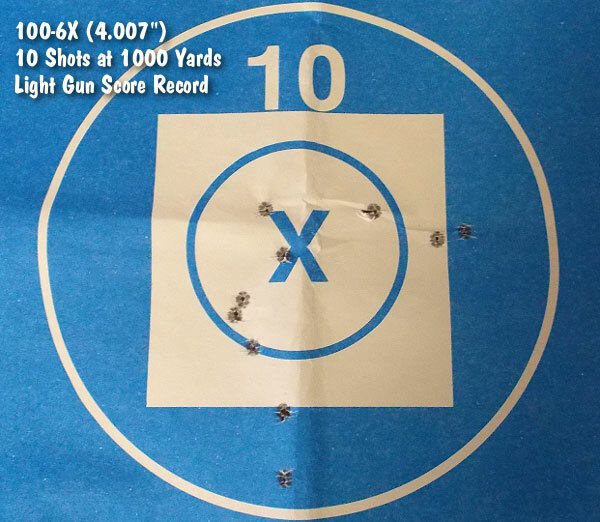 Long-range benchrest shooter Scott Weber had a pretty decent day at the range last Saturday — to put it mildly. Shooting his 6mm Dasher in a Williamport (PA) 1000-yard match, Scott recorded two new Light Gun world records, breaking a record set by Scott’s own father (Frank Weber) in the process. Early in the day, Scott shot a 3.746″ (99-1X) 10-shot group which beat the existing group-size record, a 3.835″ group shot at the Montana Deep Creek Range in 2006. Then, in the shoot-off, Scott drilled a 100-6X score to top the existing score record held by his father Frank Weber. Interestingly, Frank’s 2012 record was also a 100-6X, but Scott has the smaller group — 4.007″ vs. Frank’s 4.237″ — so Scott will be credited with the record. Well at least he kept it in the family! Scott Tells us: “Mark King built the rifle. It is similar to my dad’s Light Gun that Mark also built. It has a Sitman (Master Class) stock with 2-inch rail in the back, BAT 3-lug action, Broughton barrel with Mark King brake, and a Jewell trigger. 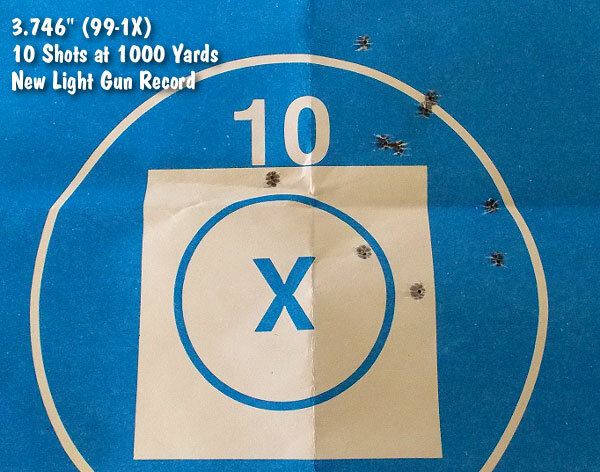 My scope is a Leupold 8.5-25X, MK IV.” The Broughton barrel is chambered for the 6mm Dasher with a 0.266″ neck. Scott turns his necks to about 10.5 thousandths thickness and runs 0.261″ neck tension. 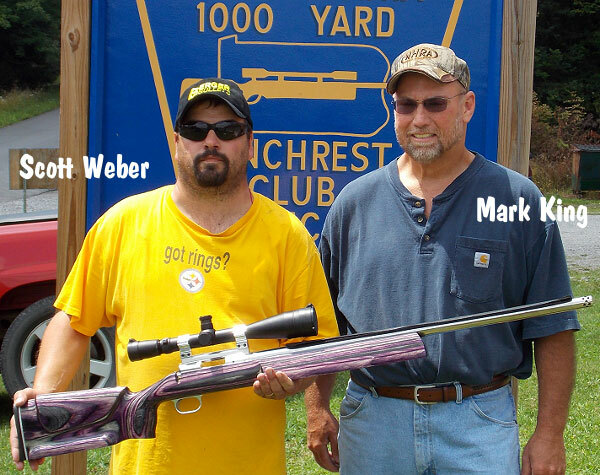 Share the post "Two LG Benchrest World Records in One Day for Scott Weber"
This is a great accomplishment! That sure is some fine shooting Scott! Congratulations on your world record accomplisments! I look forward to shooting with you next week and in the years to come. Again, congratulations and good shooting!! I suppose the 107’s vld used in this record was Matrix Ballistic bullet ?